The Fr. 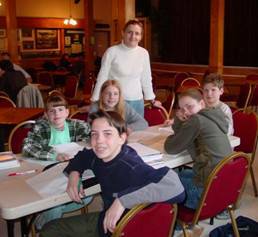 Jan Twardowski Polish School is organized by Aneta Lasek-Czerwonka & Anna Cholewinska for children from Eastside as well as Seattle and is an organization separate from the established Polish School at the Polish Home. The School’s curriculum includes Polish language, geography, history and culture classes offered to children from grades 1 to 8 – though the actual grade assignment is based on proficiency in Polish, from nil to advanced. The classes will be held at the St. Louise Parish School in Bellevue on Wednesdays at 5:30 pm. The first day of school is Oct 5, 2005. The great epic and tragedy of the 1944 Warsaw Uprising is retold in a one hour special. On Aug 1, 1944, Poles launched an uprising against the German occupation forces with hope for a quick liberation of the City. In fact the battle turned out to be the biggest, the longest and ultimately the most tragic military encounter undertaken by underground resistance forces anywhere during WWII. The Polish Home Army capitulated after 63 days on Oct 2, 1944. Afterwards the Germans expelled all the survivors and destroyed the capital. Produced by CBS for the History Channel. The 12th Polish Festival in Portland is the yearly show case event for the Polish community in Portland, OR. It is the biggest Polish event in the US west of Mississippi with 20,000 visitors expected this year! The Festival features two full days of non-stop folk performances, , exhibitions about 25th Anniversary of Solidarity and about life of John Paul II, as well as Polish food and booths with various merchandize heaps of homemade Polish food as well as booths with various merchandize. There will also be a Polka contest for children and adults on both days and dancing in the evenings. The Polish Choir Vivat Musica from Seattle under dir. of Anna Sawicki is scheduled to perform at 1:30pm on Sunday. Where: St. Stanislaus Church & The Polish Hall & Library, 3900 N. Interstate Ave., Portland, OR. The first disco of the new season! DJ Marcin Ludowicz invites to the latest dance hits. Salon Poezji (the Salon of Poetry in Seattle) is a new organization devoted to the art of word and its masters, the poets. 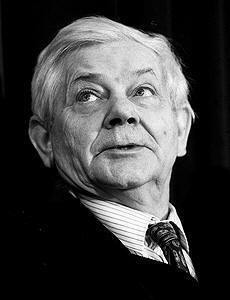 The September Salon will feature the indomitable Zbigniew Herbert (1924-1998) and his ironic alter ego, Pan Cogito. Herbert was also an essayist espousing European cultural roots; his Barbarian in the Garden and Still Life with Horse-Bit keep infecting new readers with his admiration for the old masters. The Salon has been founded by Lena Wrozynski of Seattle. The evening is organized by the Salon and the Polish Home. The book for this meeting is Paw Krolowej by Dorota Maslowska, published by Lampa i Iskra Boza in 2005. It is the second book by the young prodigy author and it’s as controversial as the first one. Paw Krolowej is available on the Internet (www.domksiazki.com, www.merlin.pl, other bookstores); please see the club website for more details. New members and guests are always welcomed at all Club meetings whether they have read the book or not! More: www.chopinacademy.com, or call: 425 829 1117 or 425 829 1229. This is an open meeting for everybody interested in the project. After a summer slowdown, the Committee wants to start the fall fundraising campaign for the expansion and remodeling of the Polish Home. The Committee needs volunteers and welcomes any help. The campaign started in May and so far gathered over $154,000 in pledges. The Polish School at the Polish Home begins another school year with an open day on Sep 12, from 6 to 8:30. This is the time to enroll your child if you haven’t done so yet, talk to the teachers etc. The Polish School is open to children and adults of varying degrees of language skills, from none to advanced. Besides Polish language and literature, children learn history and geography of Poland. The school has all native speakers as teachers. The President of Poland, Mr. Aleksander Kwasniewski, makes a tour of south-western United States before his visit to the UN in New York next week. At the luncheon in Los Angeles, he will speak on Poland and the Process of International Security and European Integration. The luncheon is organized by the Los Angeles World Affaires Council as well as the Consulate General of the Republic of Poland in LA and is open to the public; reservations are required. This new music institution has been founded by pianists Iwona Kaminska and Christopher Bowlby in downtown Issaquah. The Academy offers classes in piano, violin, viola, cello and guitar to children from age 6 to 18 as well as group instruction in performance, chamber music, music history, and music theory. The Chopin Academy of Music is celebrating its grand opening with an open house invitation on Saturday, September 10, 3-6 pm and also on Sunday, September 18, 3-6 pm. Live music and refreshments will be provided. 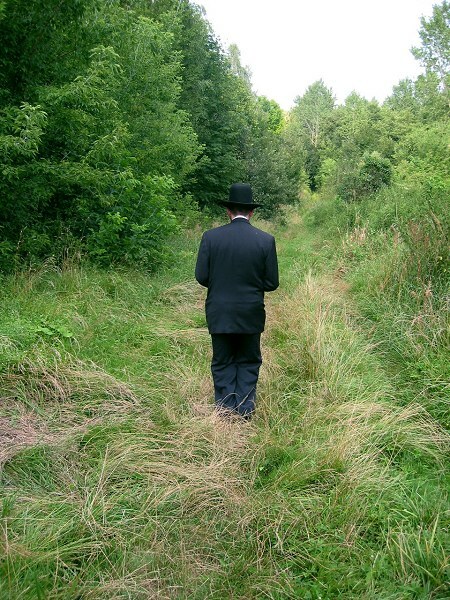 Hiding and Seeking: Faith and Tolerance after the Holocaust is a documentary movie that follows a Jewish father and his two adult sons traveling to Poland in a quest to find the Polish family who saved their grandfather during WWII. The sons believe Poles to be incurably anti-Semitic; precisely for that reason, the father wants them to be introduced to Poles who risked their own lives for the Jews.